Is your corporation having a hard time with corporate debts? Well, business debts are unavoidable in the contemporary scenario which is defined by skyrocket expenses and struggling income. If you too are being groped by spiking debts, bill consolidation loan is a great solution. Also referred to as debt consolidation, bill consolidation loan groups all the loans into one single loan bill- with lower rate of interest in comparison to the combined interest rate of all your company’s existing loans. Thus, your monthly payment gets lower and more manageable. For example, say you have 3 corporate credit cards carrying 12%, 18% & 25% interest rate. Now, if you opt for a bill consolidation solution, you will be able to group or consolidate all the 3 accounts in one single loan with 10-15% rate of interest. Just imagine how much you are going to save the company with a bill consolidation program. When Is Bill Consolidation Required? Ability to pay just the minimum due on your card bills. Using over 20% of paycheck for paying debts (excluding the mortgage). Borrowing money on a constant basis for necessary expenses such as food & gas. These loans are attached to collateral- say some valuable asset which your lender would be able to take away from you in case you are unable to repay the loan. The most common collateral examples are a commercial autonomous car or property. Secured loans are easy to get if you are ready to risk your company assets. It’s because the lenders consider clients with collateral as less risky. Many people take to secured bill consolidation loan as it offers larger amounts & that too at lower rate of interest. It’s to note here that secured debt consolidation loans are usually long-term loans. These are the debt consolidation loans that are free from any sort of collateral attachment. These are less risky for the borrower as if you fail, you would just have to bear credit damage rather than your prized assets such as your company property. Moreover, unsecured loans generally take lesser repay time in comparison to the secured counterpart. But then again, it’s tougher to get the unsecured loan & the situation is more problematic if you cannot produce a stellar credit record. As it is more risky for a lender to offer a loan without collateral attachment, unsecured loans often carry higher rate of interest amount & come with zero tax benefits. 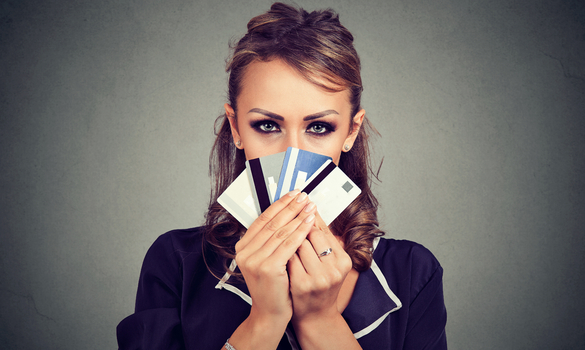 Another way to consolidate your bills is through credit card transfers. With a balance transfer, you can shift all of your credit to one card. As long as this credit card has zero percent interest or very low APR, you can save money compared to short term loans. You would have the convenience of paying all your bills to one card as well as receiving a lower rate. This makes it easier to get out of debt quickly. Similar to taking a bill consolidation loan, a balance transfer gives you time to make payments to one account. One of the primary benefits of bill consolidation loan is that it takes you to a better manageable situation. As your company will have one single bill to manage every month, you would not have to stay cautious about various due dates – that was usually earlier when you had several loans. Some finance experts subscribe to the idea that debt consolidation loans are a terrible idea because they are only treating the symptoms of the problem, not the actual problem itself. However, this is a terrible way of thinking for the average person. Why? Because often times, the reason people go into debt is not because they are living too large and spending too freely. Instead, the average person typically goes into debt for circumstances outside of their control, like a car breaking down or spouse getting sick while having to pay heating bills. So, instead of looking at bill consolidation loans as a bad thing, look at them for the positive helping-hand that they are. Subscribing to this way of thinking will only make you feel worse about your finances, which oftentimes leads to even worse financial health. So, ignore the finance experts. Debt consolidation loans are useful tools for the average person on the path to financial health. Bill consolidation helped me a lot financially.